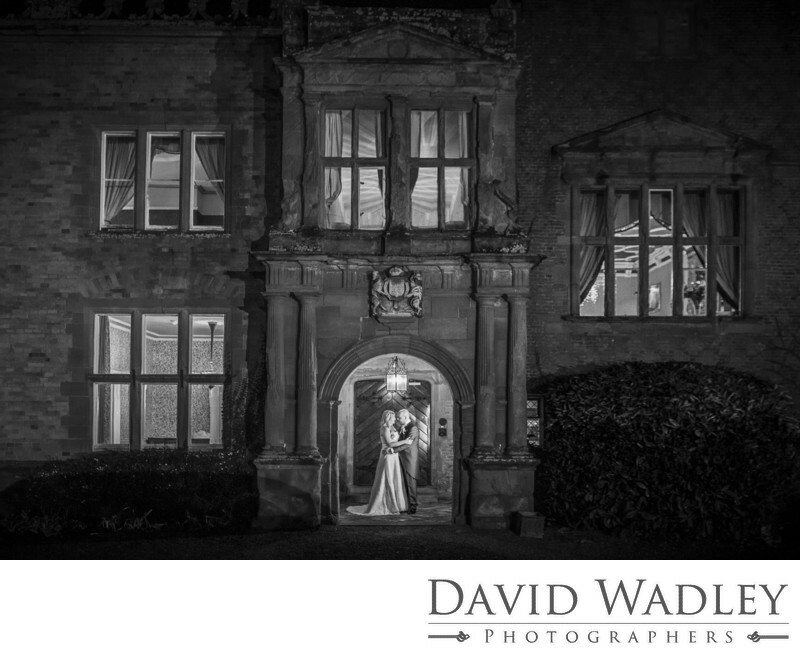 Grafton Manor Wedding Black & White. Quite moment together in the beautiful doorway for the bride & groom on their wedding day at Grafton Manor. Location: Grafton Ln, Bromsgrove B61 7HA.